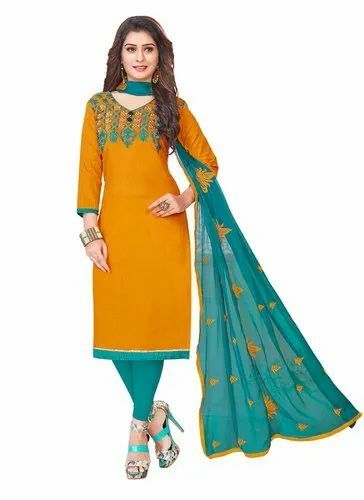 Our product range includes a wide range of cotton salwar suits, latest designs cotton salwar suits wholesale collection, cotton churidar salwar suits, cotton printed salwar suits materials, printed cotton salwar suits and cotton hand embroidery work churidar salwar suits. Designer Cotton Suits Catalog Have COTTON Top With Embroidery Work.Its Comes With COTTON Bottom and NAZNEEN Dupatta. Churidar Salwar Suits Catalog Have COTTON Fabric With Embroidery Work Top.Its Comes With COTTON Bottom and BANARASI SILK Dupatta. Churidar Salwar Suits Catalog Have COTTON SATIN Fabric With Printed Work Top.Its Comes With COTTON Bottom and CHIFFON Dupatta. Churidar Salwar Suits Catalog Have GLACE COTTON Fabric With Printed Work Top.Its Comes With LAWN Bottom and CHIFFON Dupatta. Churidar Suits Catalog Have MODAL COTTON Fabric With Embroidery Work Top.Its Comes With COTTON Bottom and NAZNEEN Dupatta. Churidar Suits Catalog Have COTTON SATIN Fabric With Printed Work Top.Its Comes With COTTON Bottom and CHIFFON Dupatta. 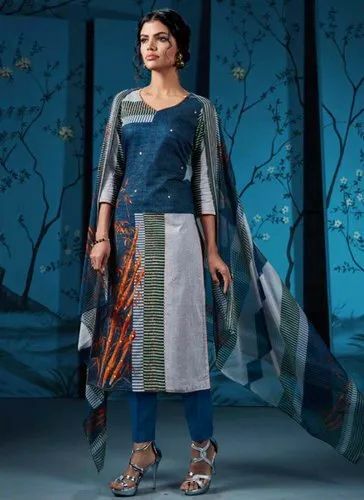 Churidar Style Salwar Suits Catalog Have MODAL COTTON Fabric With Digital Printed & Embroidery Work Top.Its Comes With JAPAN SATIN Bottom and BEMBERG CHIFFON Dupatta. Salwar Suits Catalog Have COTTON Fabric With Printed & Self Embroidery Work Top.Its Comes With COTTON Bottom and NAZNEEN Dupatta. Churidar Suits Catalog Have CHANDERI COTTON Fabric With Embroidery Work Top.Its Comes With COTTON Bottom and CHIFFON Dupatta. ~You Can Buy Singles And Full Set Both~Custom Stitching Available,You Can Customize Your Size as Per Your Requirement. Churidar Suits Catalog Have GLACE COTTON SATIN Fabric With Embroidery Work Top.Its Comes With COTTON Bottom and NAZNEEN Dupatta. Churidar Suits Catalog Have MODAL SILK Fabric With Embroidery Work Top.Its Comes With COTTON Bottom and NAZNEEN Dupatta. Churidar Suits Catalog Have SOUTH COTTON Fabric With Embroidery Work Top.Its Comes With COTTON Bottom and NAZNEEN Dupatta. Churidar Suits Catalog Have SOUTH COTTON Fabric With Embroidery Work Top.Its Comes With COTTON Bottom and BANARASI SILK Dupatta. Punjabi Suits Catalog Have BANARASI COTTON Fabric With Hand Work Top.Its Comes With COTTON JACQUARD Bottom and NAZNEEN Dupatta. 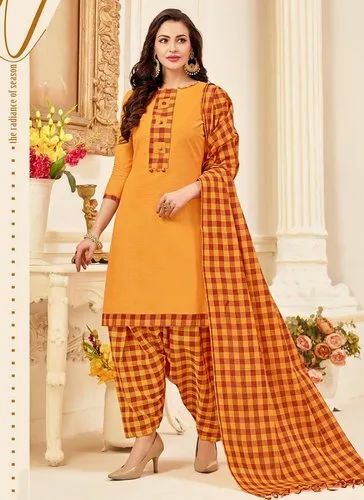 Latest Designs Punjabi Style Suits Catalog Have HANDLOOM COTTON Fabric With CHEX PRINTED Work Top.Its Comes With COTTON Bottom and COTTON Dupatta. Churidar Suits Catalog Have COTTON Fabric With Embroidery Work Top.Its Comes With COTTON Bottom and BANARASI JACQUARD Dupatta. Churidar Suits Catalog Have LAWN COTTON Fabric With Printed Work Top.Its Comes With COTTON Bottom and CHIFFON Dupatta. Churidar Suits Catalog Have CAMBRIC COTTON Fabric With Printed Work Top.Its Comes With SEMI LAWN Bottom and CHIFFON Dupatta. Churidar Catalog Have CHANDERI COTTON Fabric With Embroidery Work Top.Its Comes With COTTON Bottom and CHIFFON Dupatta. Latest Designs Suits Catalog Have COTTON Fabric With Embroidery Work Top.Its Comes With COTTON Bottom and NAZNEEN Dupatta. Punjabi Style Salwar Suits Catalog Have COTTON SATIN Fabric With Embroidery Work Top.Its Comes With LAWN Bottom and NAZNEEN Dupatta. Latest Designs Suits Catalog Have JAM COTTON SATIN Fabric With Embroidery Work Top.Its Comes With CAMBRIC COTTON Bottom and CHIFFON Dupatta. Churidar Salwar Suits Catalog Have COTTON Fabric With DIGITAL PRINTED Work Top.Its Comes With COTTON Bottom and CHANDERI Dupatta. Churidar Suits Catalog Have COTTON Fabric With PRINTED Work Top.Its Comes With COTTON Bottom and CHIFFON Dupatta.